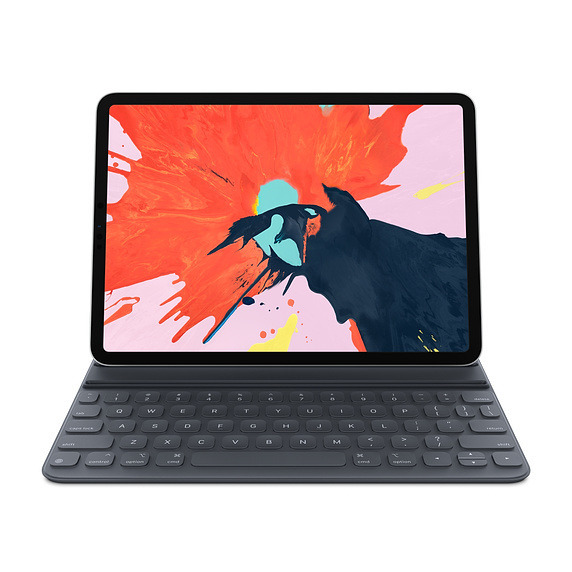 In conjunction with new 11-inch and 12.9-inch iPad Pros, Apple has also released the Smart Keyboard Folio, which doubles as a case and a full-size keyboard. The keyboard protects both the front and the back of a Pro and, when opened, can sit the tablet at multiple angles for desk or laptop use. Apple describes it as having a "streamlined," minimalist design intended to be thin and light. The Folio's most important feature may actually be its Smart Connector, as when attached to a Pro it never needs to be paired or charged. 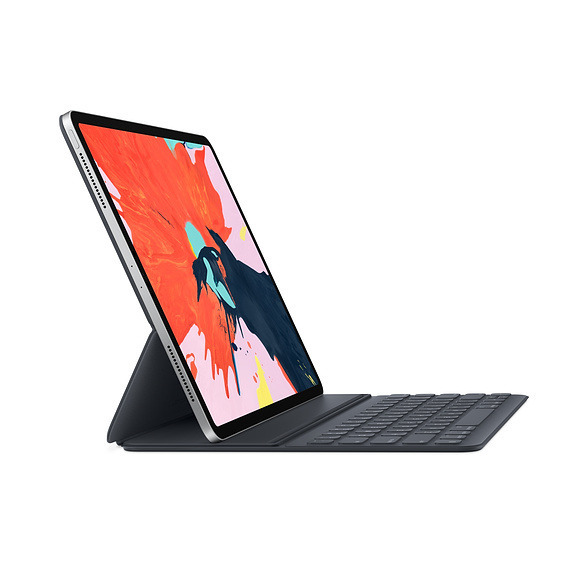 The Smart Keyboard Folio is on sale today at $179 for 11-inch Pros and $199 for 12.9-inch tablets. Layout options include over 30 languages, some of the non-English options being French, German, Japanese, and simplified Chinese. The product will ship Nov. 7 to over 40 regions, including the U.S., Australia, Austria, Belgium, Bulgaria, Canada, China, Croatia, the Czech Republic, Denmark, Estonia, Finland, France, Germany, Hong Kong, Hungary, Iceland, Ireland, the Isle of Man, Italy, Japan, Jersey, Latvia, Lithuania, Luxembourg, Macau, Monaco, the Netherlands, New Zealand, Norway, Poland, Portugal, Puerto Rico, Romania, Singapore, Slovakia, Slovenia, Spain, Sweden, Switzerland, the U.A.E. and U.K.